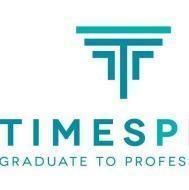 TimesPro is the education arm of the Times of India group and the largest SAP partner in India. TimesPro offers learning and certification for all SAP courses. Being a partner of SAP the certification that a student gets is valid globally. Along with training TimesPro also offers hand on training on SAP. Timespro SAP Learning Center conducts classes in SAP. It is located in A B Road, Indore. It takes Regular Classes- at the Institute.